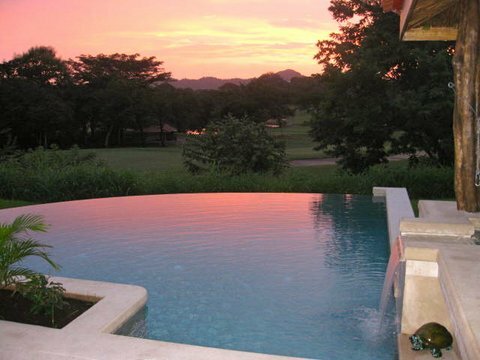 This luxury home for sale in Reserva Conchal is the last home to be built directly on the 4th hole of Reserva Conchal’s world famous Robert Trent II championship golf course. 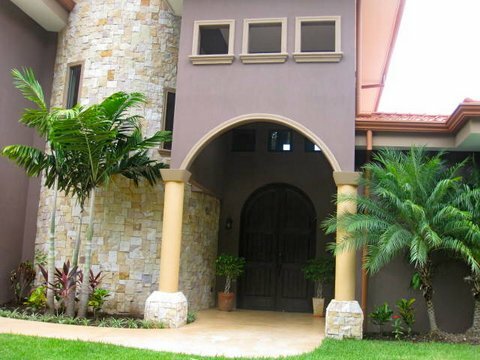 This 4000 Sq Ft, 4-Bedroom 5-Bathroom is the perfect family home. 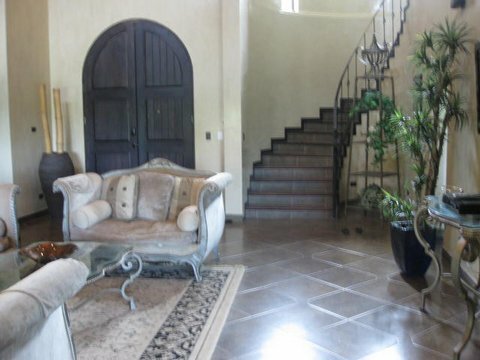 The grand entryway arch sets the tone of opulence for the rest of the home, and as you explore you will fall in love with it! 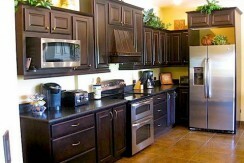 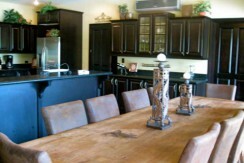 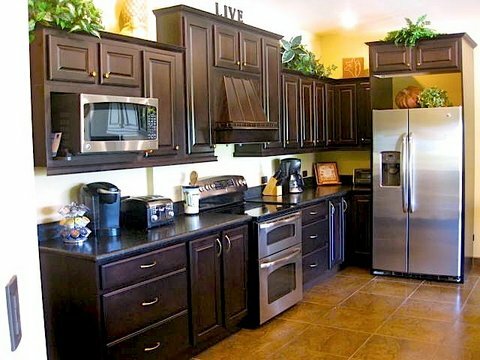 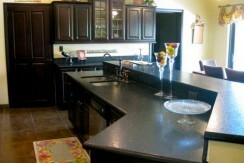 The kitchen features dark wood cabinets and stainless steel appliances. 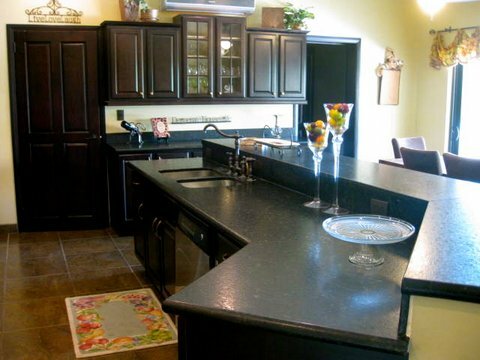 The huge island provides tons of counter space and a breakfast bar. 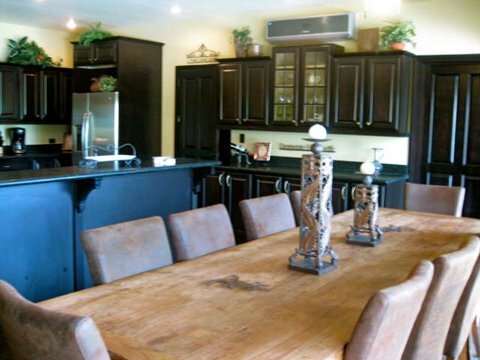 The kitchen flows into the formal dining and living rooms, making this the perfect area for entertaining guests. 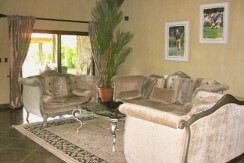 For more casual occasions, the second family room is cozy and inviting. 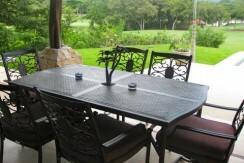 The outdoor living space overlooks the golf course. 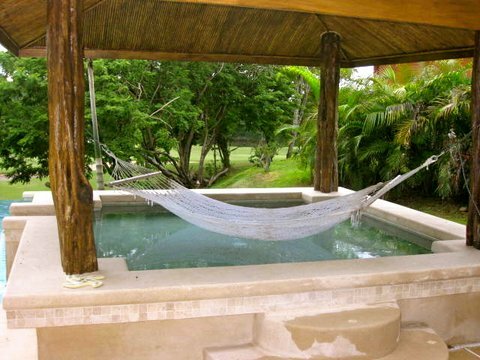 Complete with a jacuzzi, infinity pool, and a hammock, this is the perfect backyard oasis! 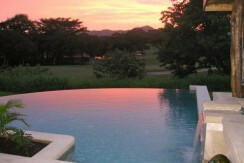 Infinity Pool with Golf Course Views! 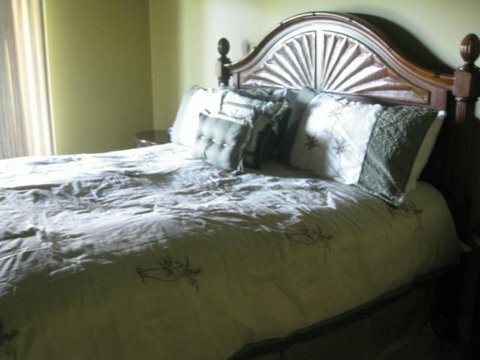 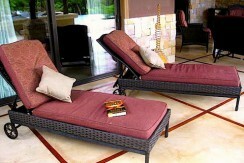 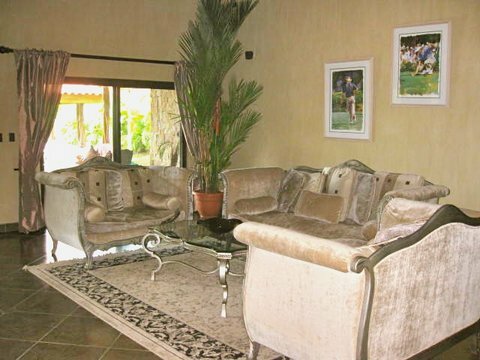 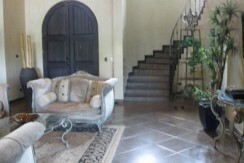 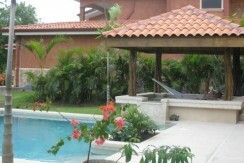 The Master suite of this fantastic home is spacious and luxurious. 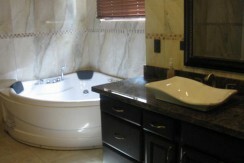 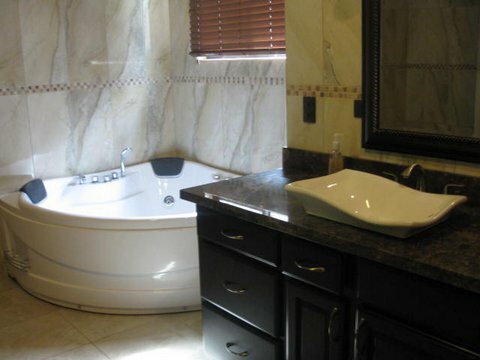 The ensuite bathroom boasts a massive jacuzzi bathtub perfect for relaxing and lounging after a busy day. 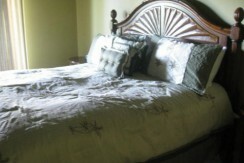 The three other bedrooms are ideal for the kids, visiting guests, or even an office space. 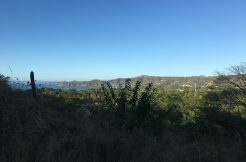 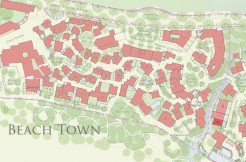 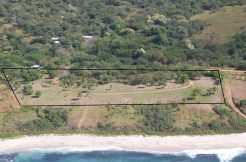 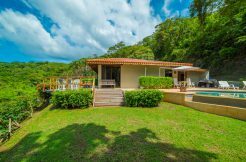 Playa Conchal is just a short 1.5 hour drive from Liberia International Airport and 20 minute drive from Tamarindo, which is what makes it such a sought-after residential community. 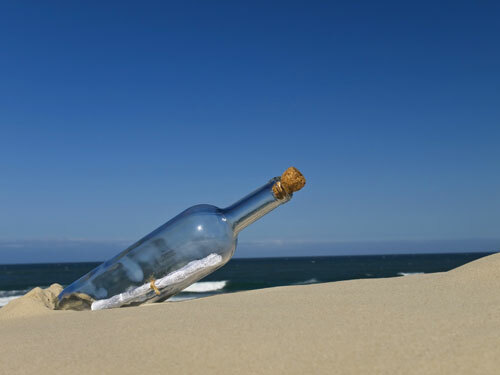 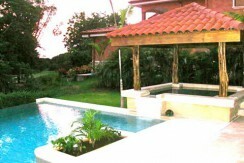 The white sand beaches and crystal blue-turquoise waters are jaw-dropping and picturesque. 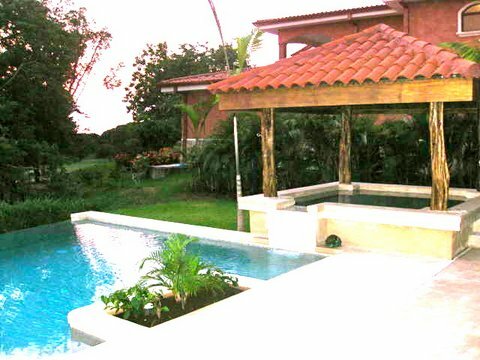 Your lifestyle in Conchal and Guanacaste will truly be one of happiness and joy, as you are surrounded by impeccable natural beauty. 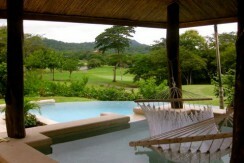 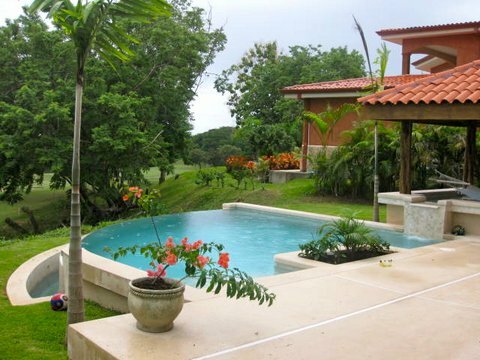 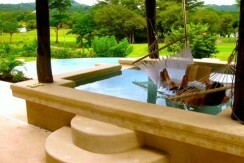 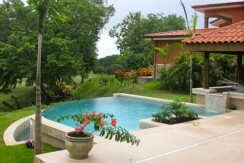 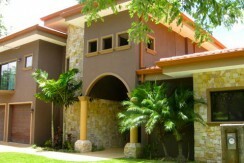 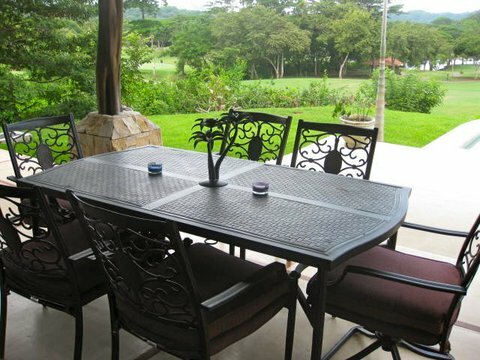 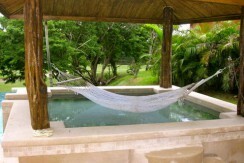 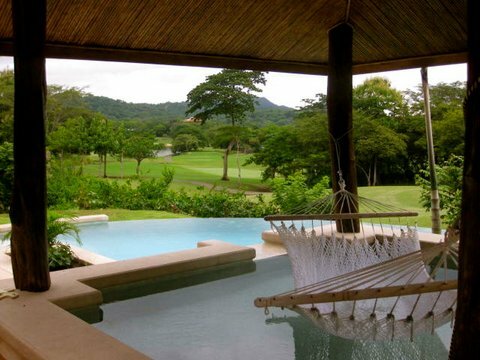 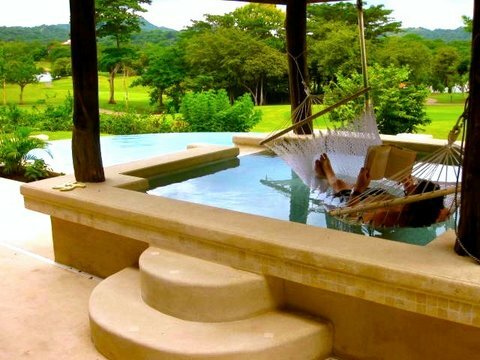 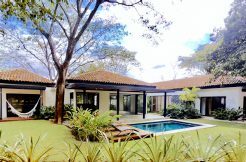 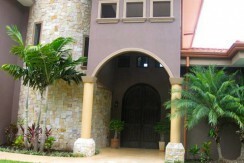 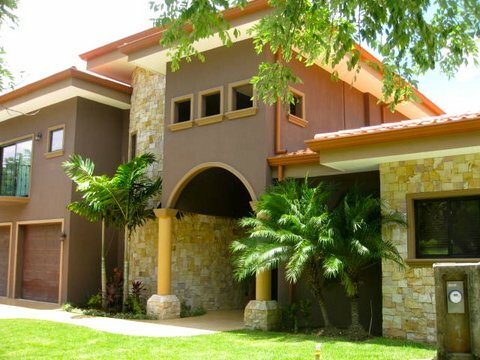 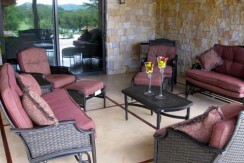 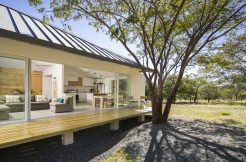 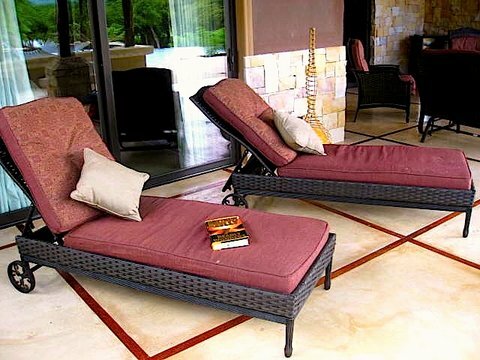 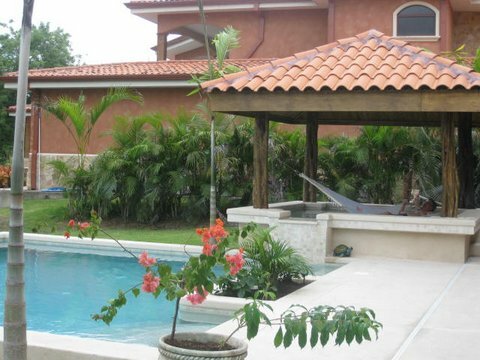 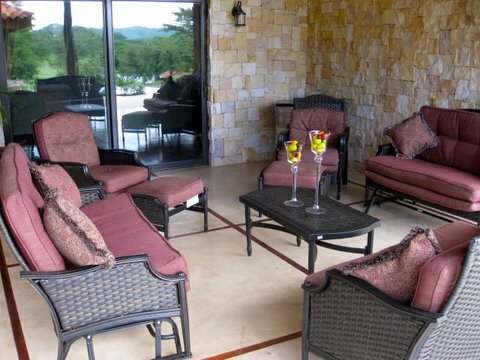 Please contact us now for more information on this amazing 4-Bedroom home for sale in Reserva Conchal, Guanacaste!